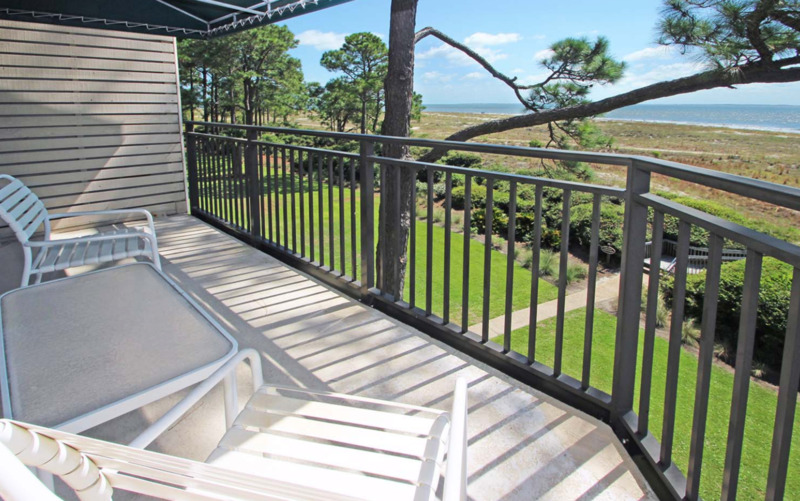 1837 Beachside Tennis is a third floor unit of the five-story North building. 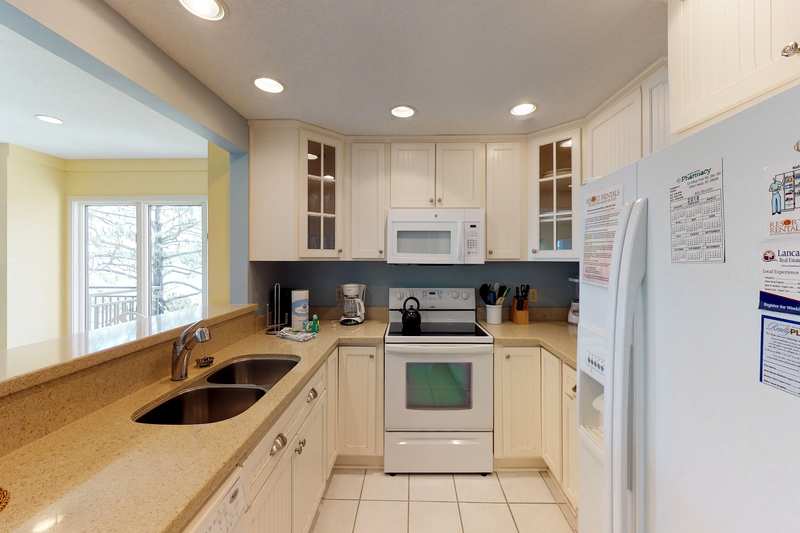 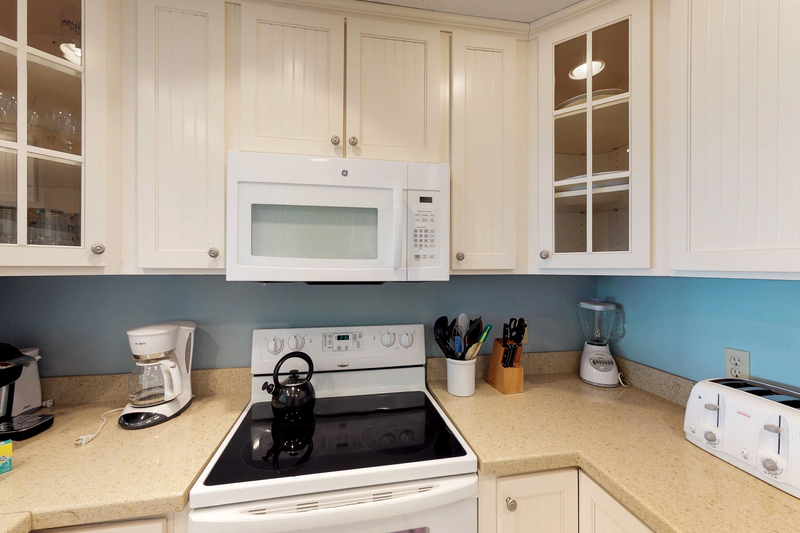 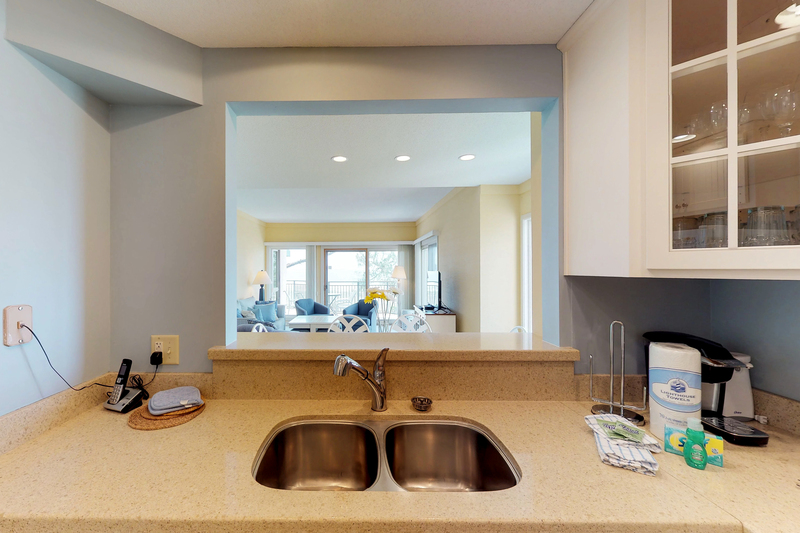 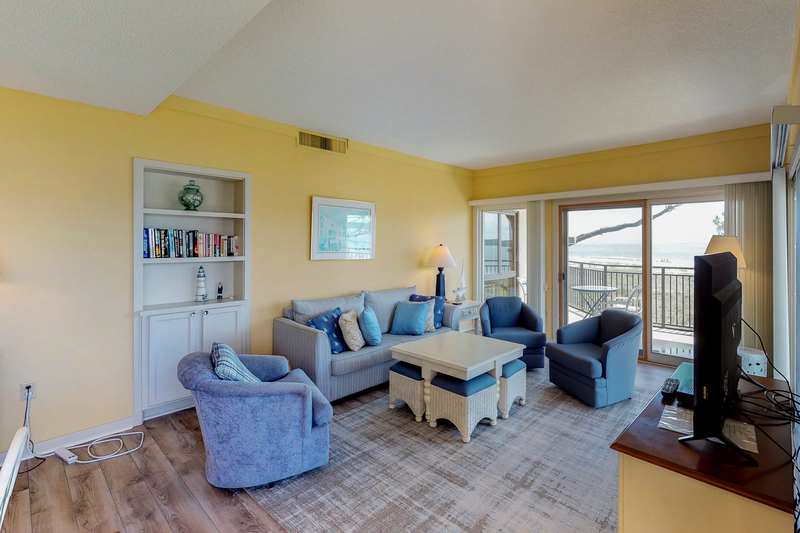 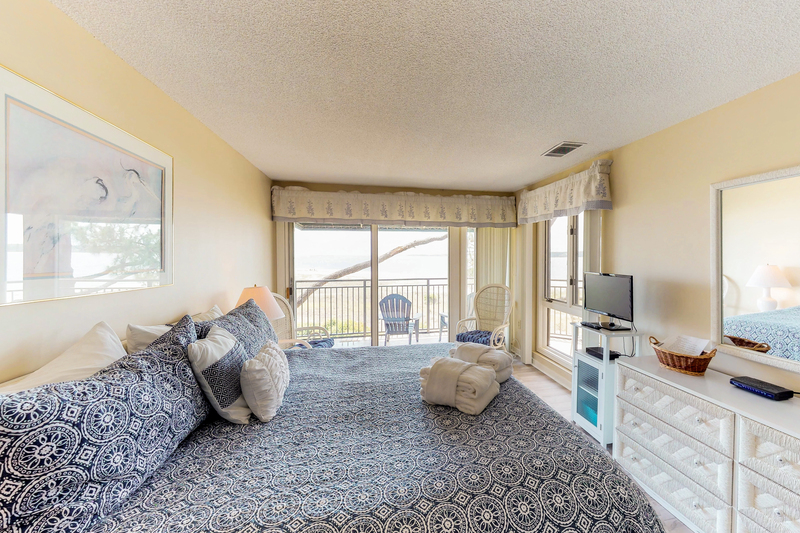 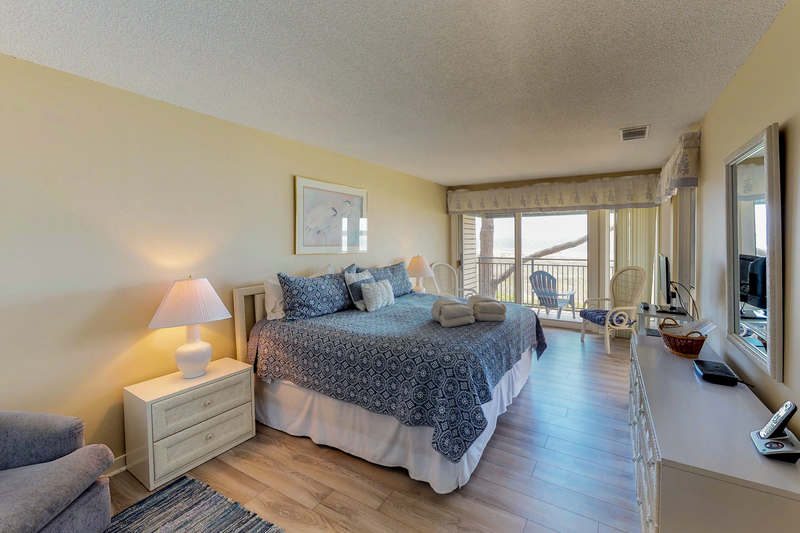 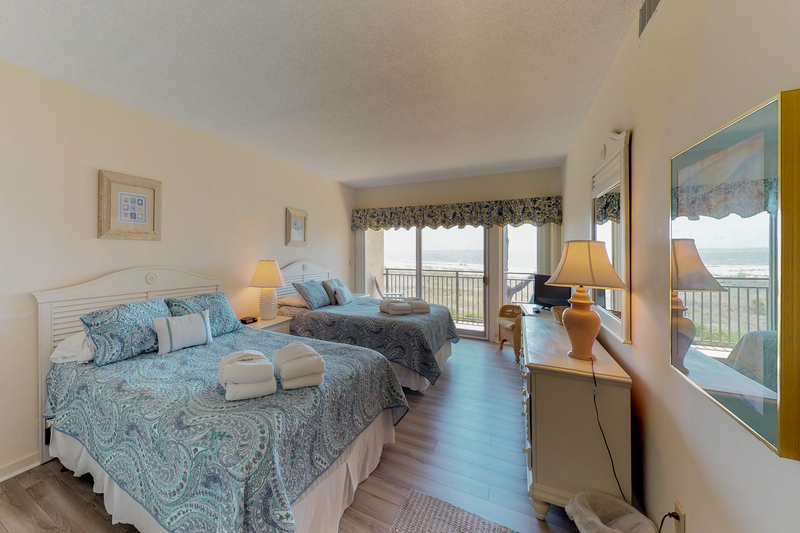 This unique corner unit has a wraparound balcony that is accessed from the living room and master bedroom and provides panoramic views of Calibogue Sound. 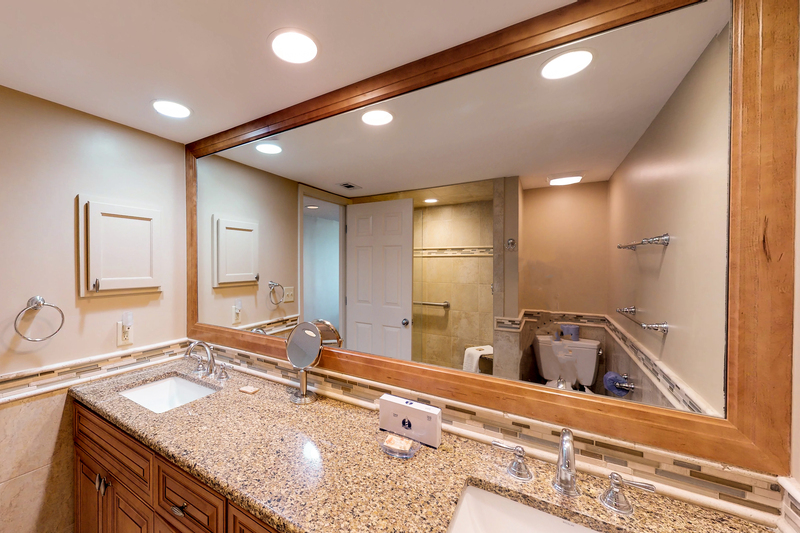 The entire villa is floored with a beautiful wood-look planking. 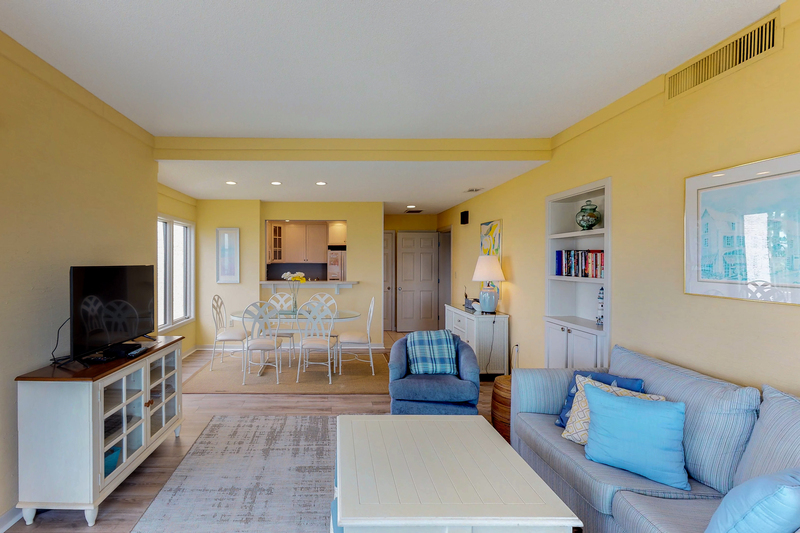 The living area has a sofa that opens to a sleeper, an overstuffed swivel chair, and a 48" flat screen TV. 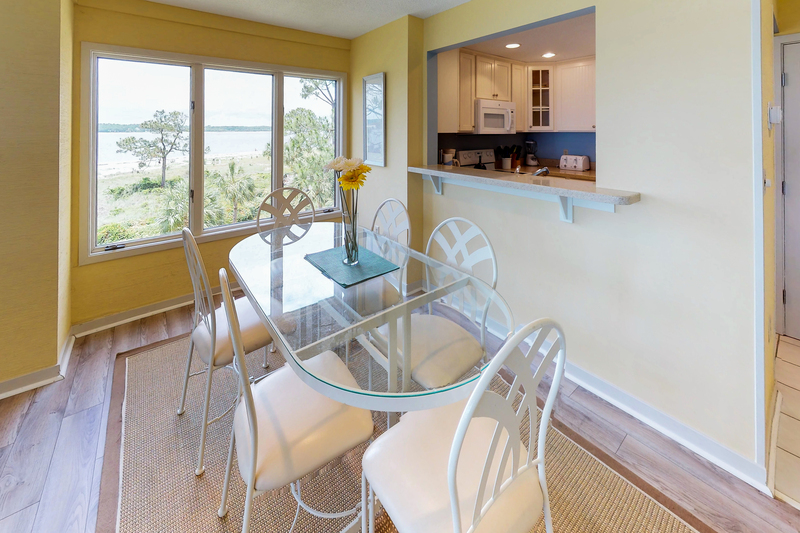 The dining area has a table and seating for six. 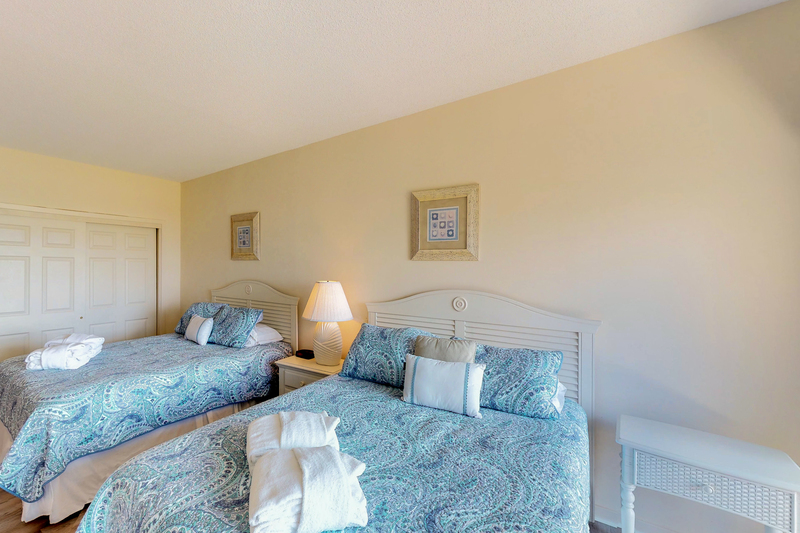 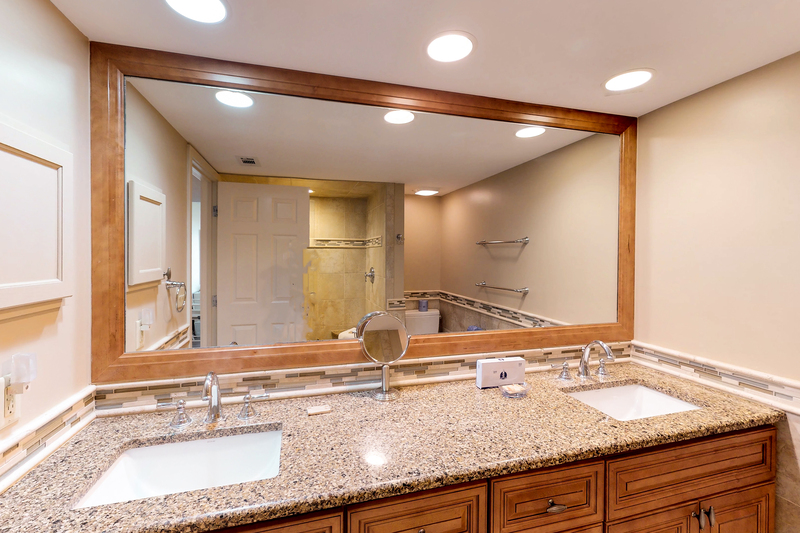 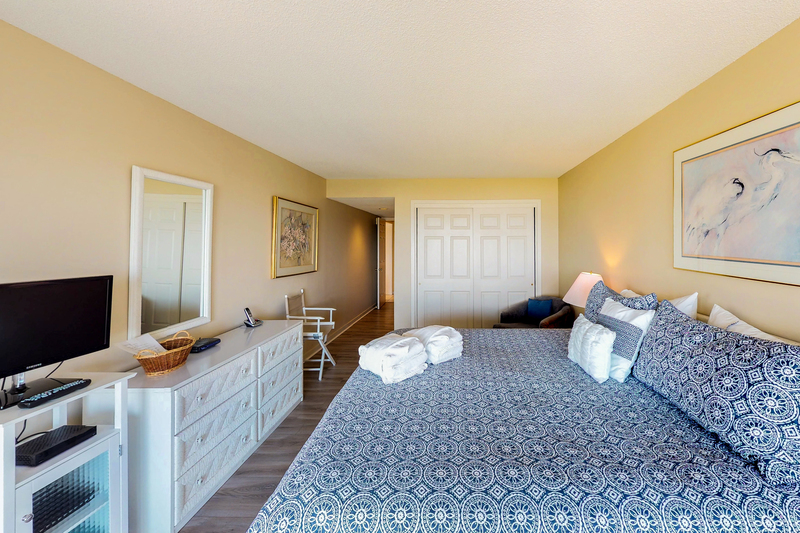 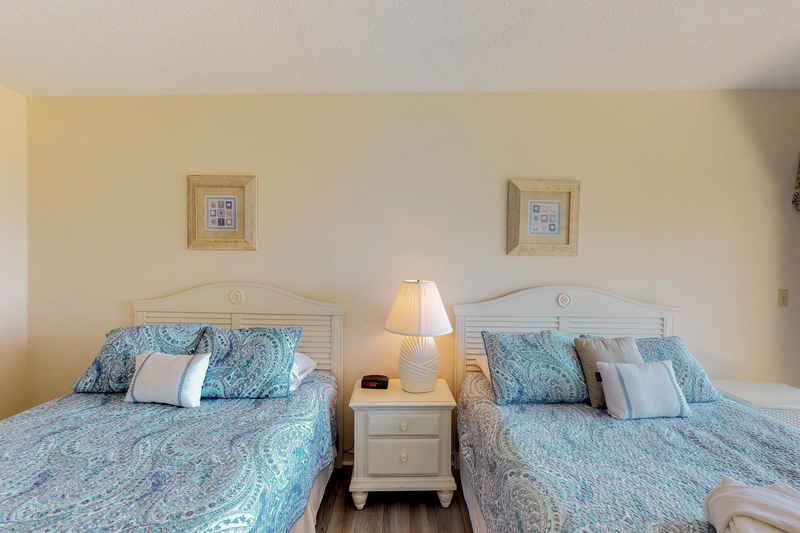 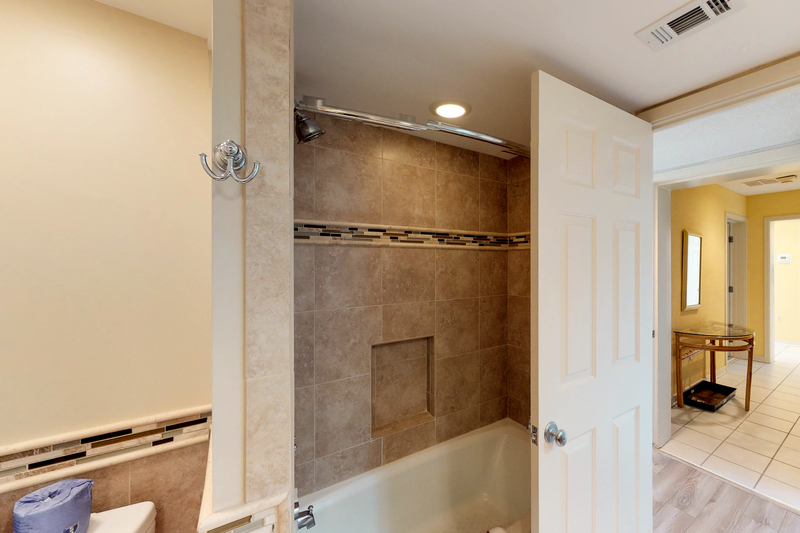 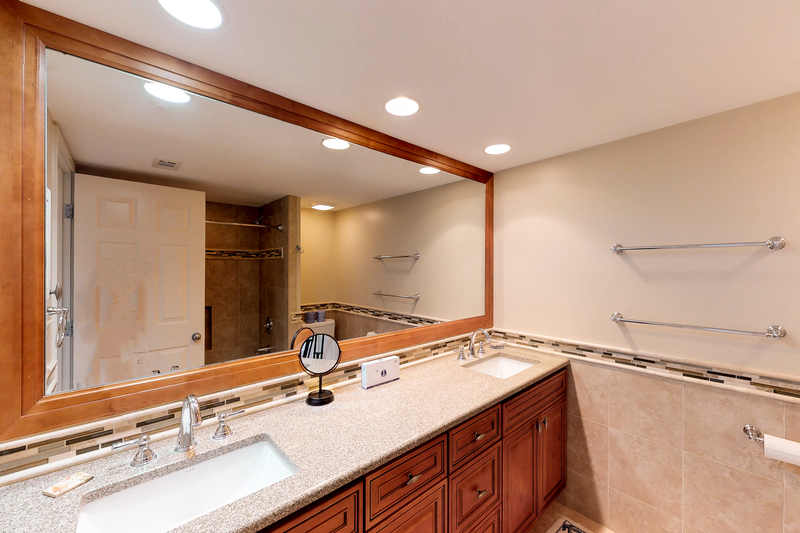 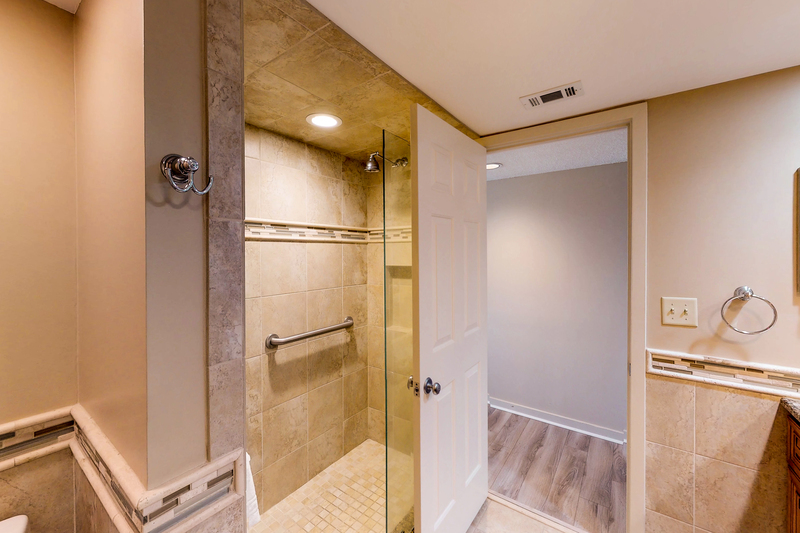 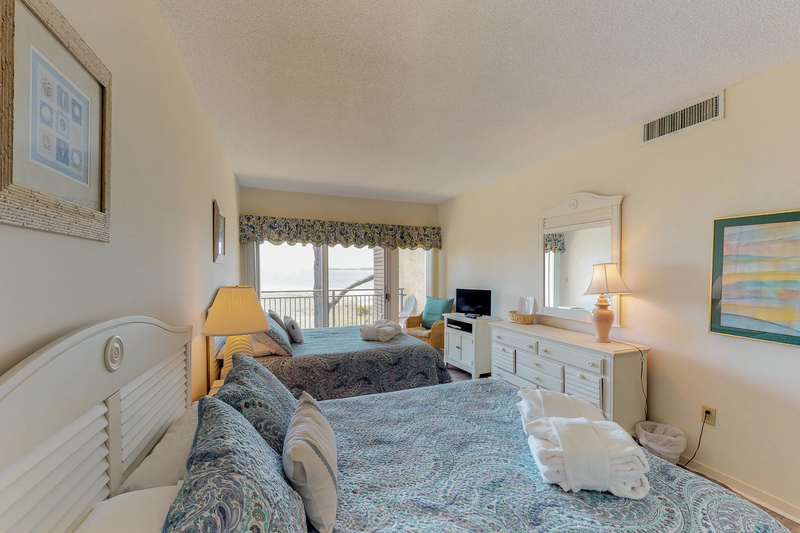 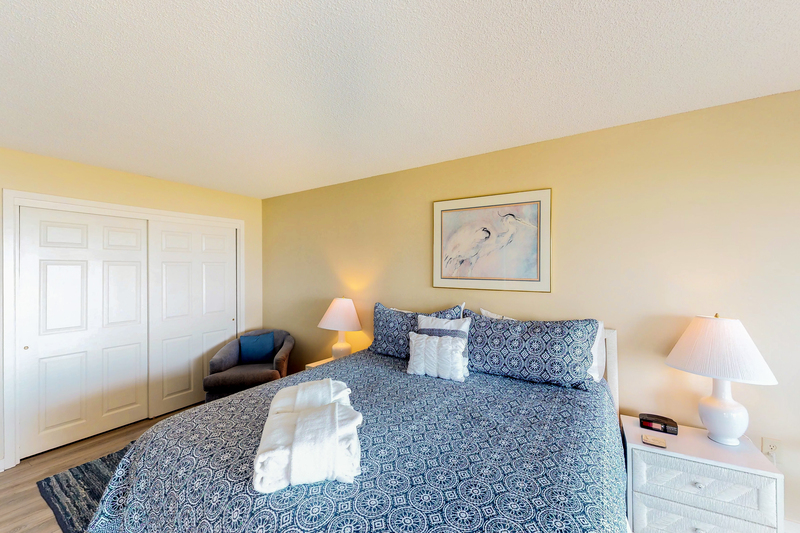 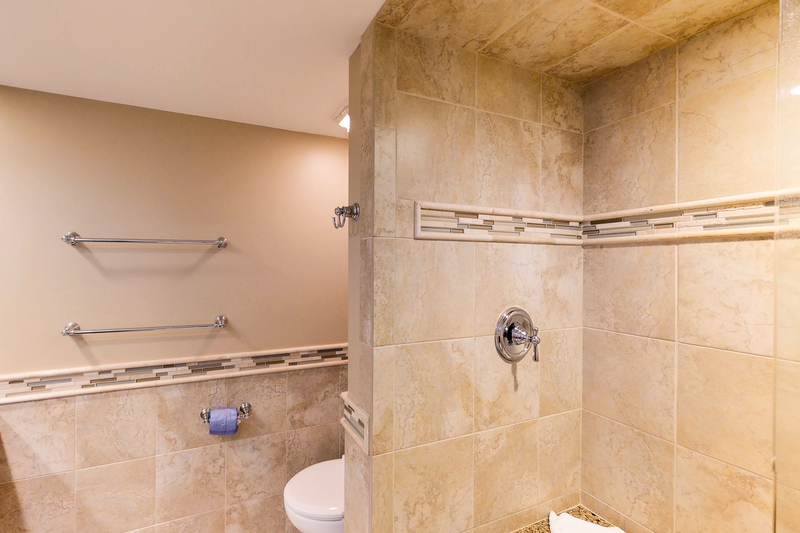 The master bedroom has a king size bed, flat screen TV, and private bath with a walk-in shower. 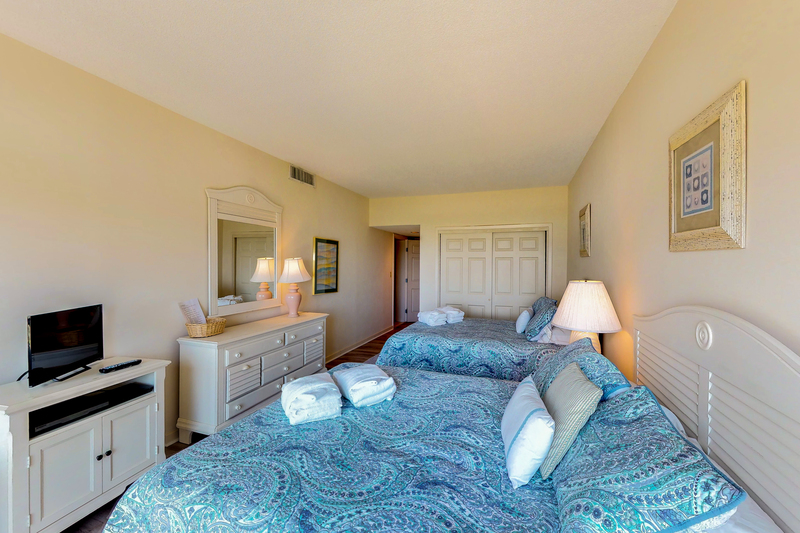 The guest bedroom has two queen beds, flat screen TV, and private bath with tub/shower combination as well. 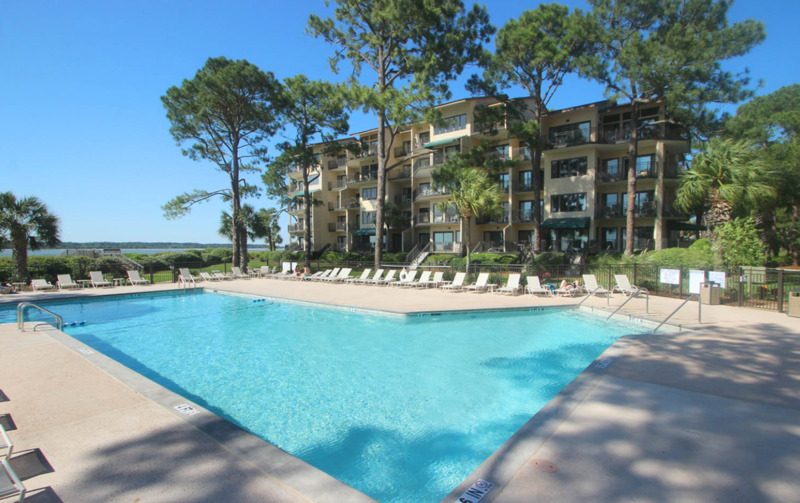 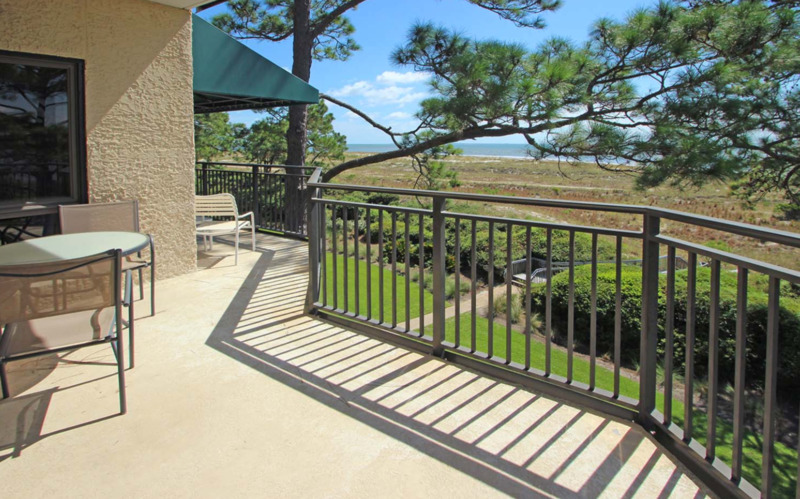 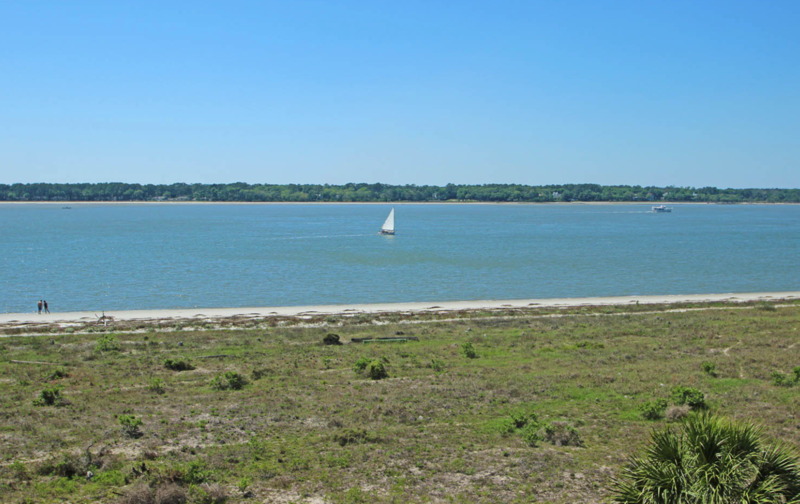 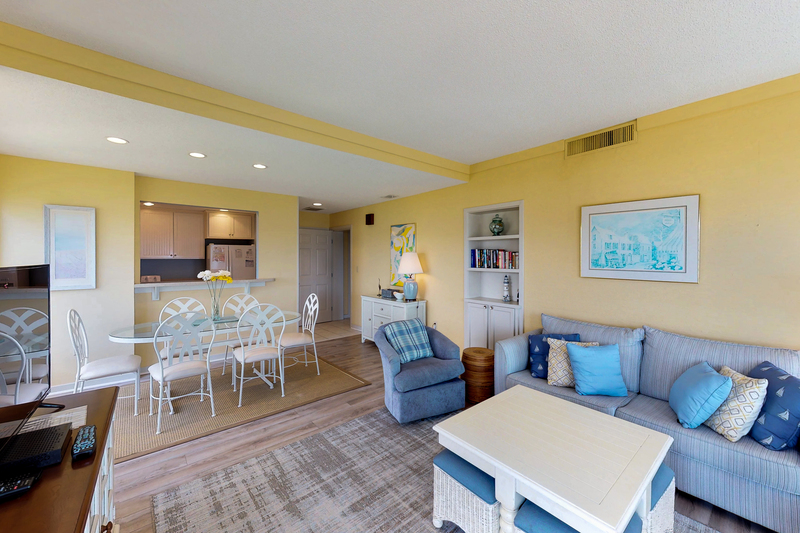 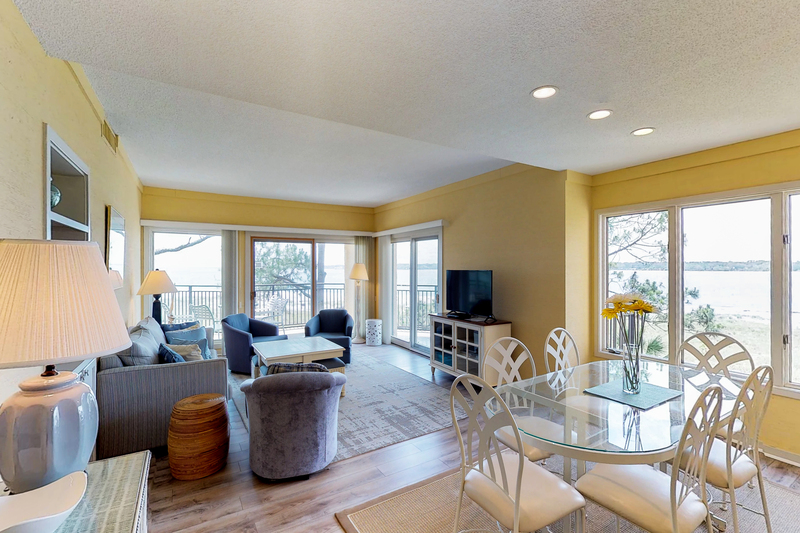 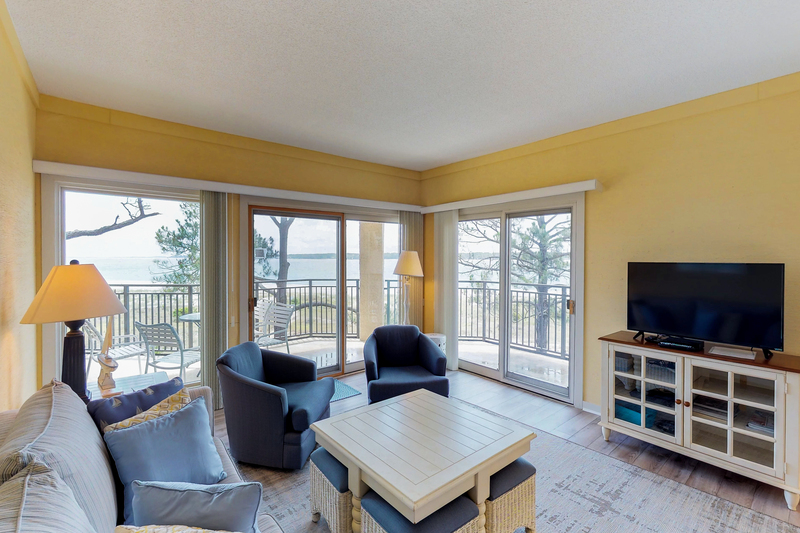 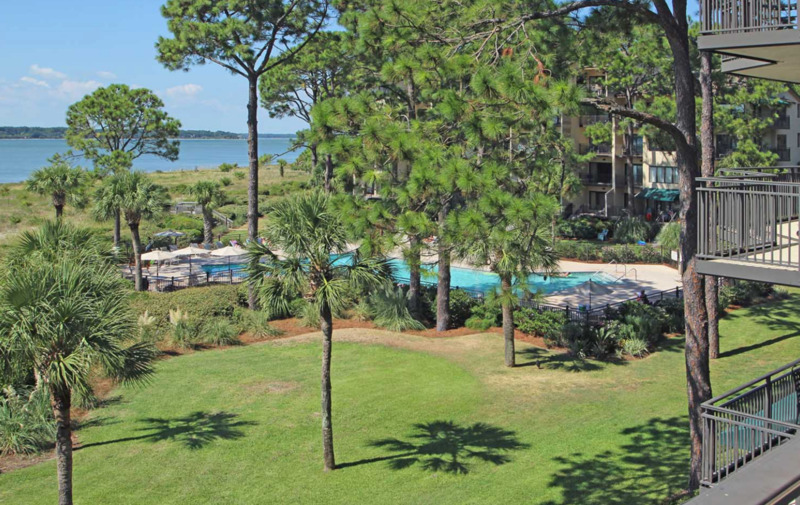 Located right on Calibogue Sound and at the heart of the South Beach area of Sea Pines Plantation, Beachside Tennis villas are ocean/sound front and offer one of Hilton Head's outstanding signature views. 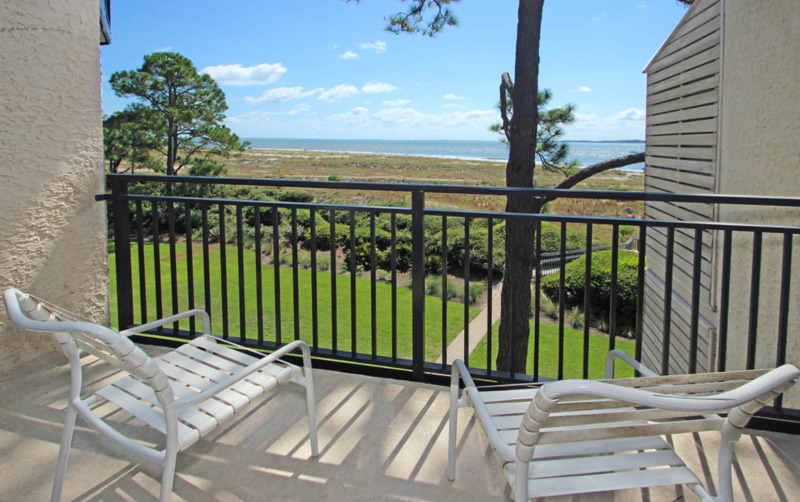 From your deck or balcony you can sit and watch the dolphins play and the shrimp boats crisscross the sound. 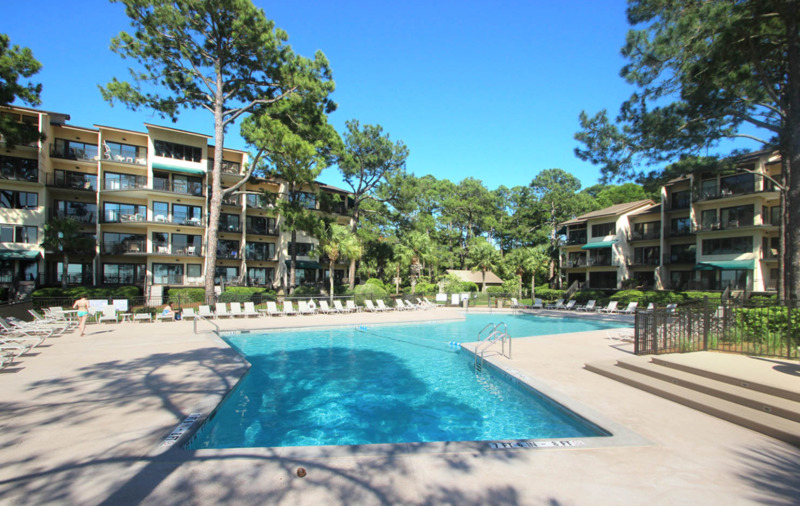 The large complex pool is soundfront with bathrooms and outside showers nearby. 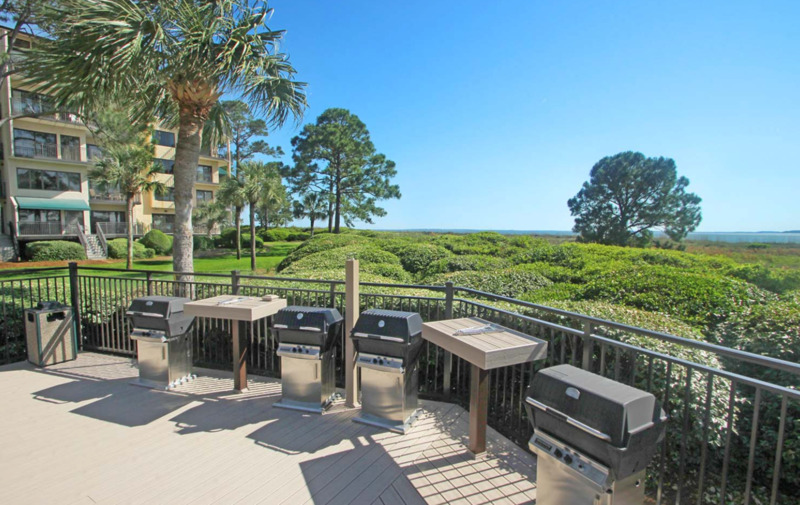 A sundeck surrounds the pool and two poolside gas grills are available for your use. 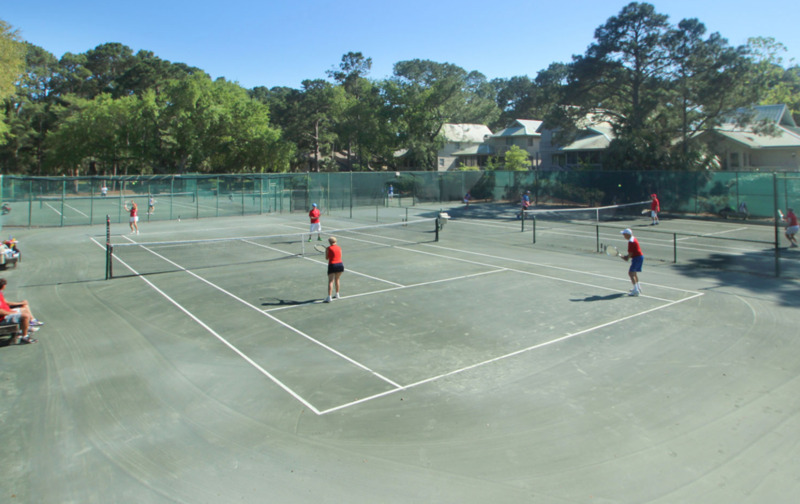 Private boardwalks lead to the beach and the large South Beach Racquet Club (all clay courts) is just next door. 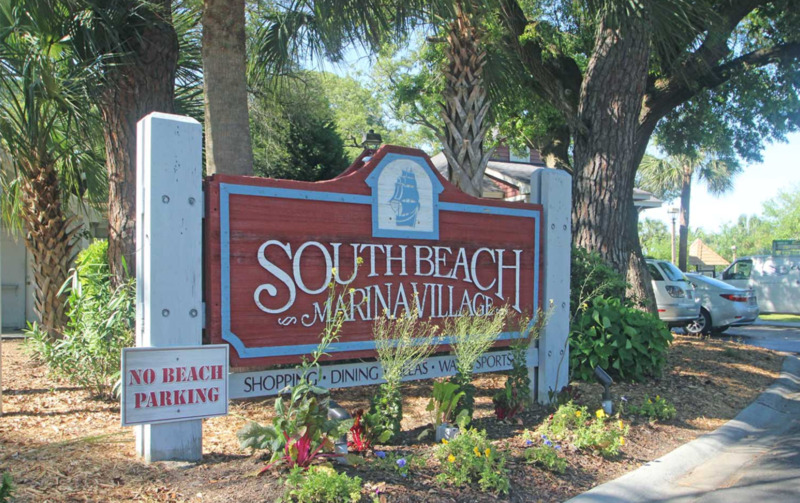 The many attractions of South Beach Marina Village are steps away. 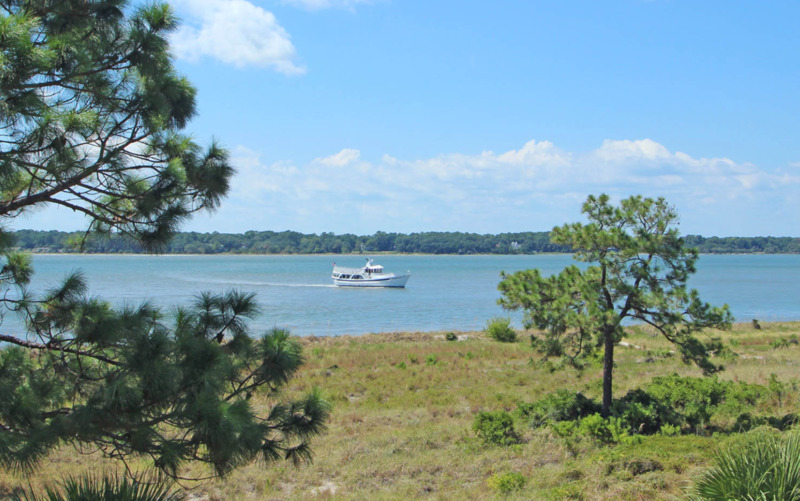 These include restaurants, stores, sailing and fishing charters, kayak, jet ski and parasail rentals and nature tours through the marsh and sound.